We are taking part in the garage sale to raise money to support Fairtrade, do come and support us. You’ll find us on Carr Hill Drive. Children from all over Leeds came with their teachers on Friday 1st March, to Leeds Civic Hall. They came to celebrate Fairtrade. Fabian Hamilton M.P. opened the session. The children chose workshops to learn more about Fairtrade, three of the workshops were designed by the children themselves. The Lord Mayor and his wife, Councillor and Mrs Latty came later to congratulate the children and they gave out certificates for all the work the children had done, preparing for the day. Everyone really enjoyed the afternoon. We are all looking forward to Fairtrade Fortnight 2019. Here are some events taking place in the City. Saturday 2nd March is the Coffee Morning at the Methodist Hall, Chapel Allerton from 10.30am – 1.30pm. 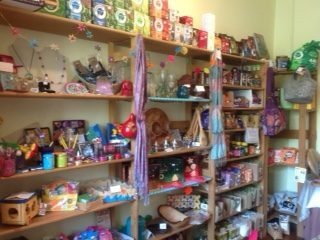 As well as coffee and cakes there will be lots of things to buy from Traidcraft. 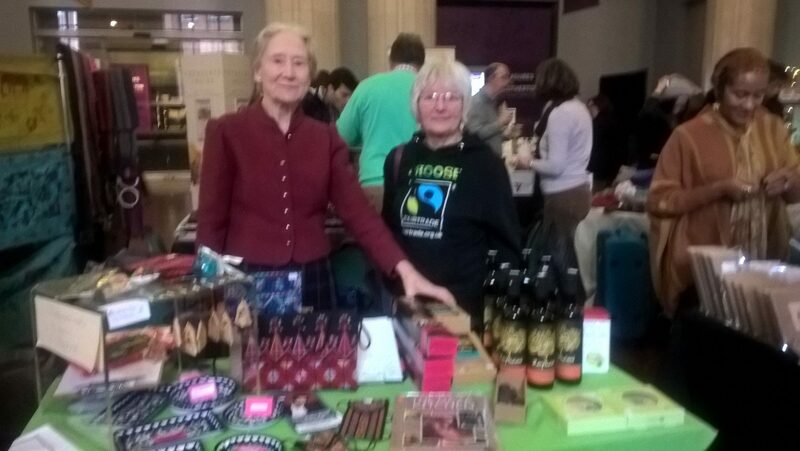 Tuesday 5th March is the University of Leeds Fairtrade Fair in the Parkinson Court from 11am – 3.30pm. 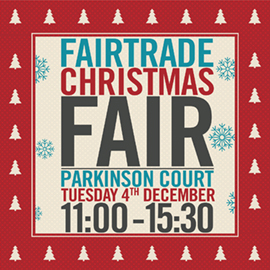 This is a very lively event, with lots of stalls selling Fairtrade produce and local crafts. If you know of any other Fairtrade events taking place in Leeds, please let us know. Hello, and a Happy New Year to all Fairtraders everywhere. 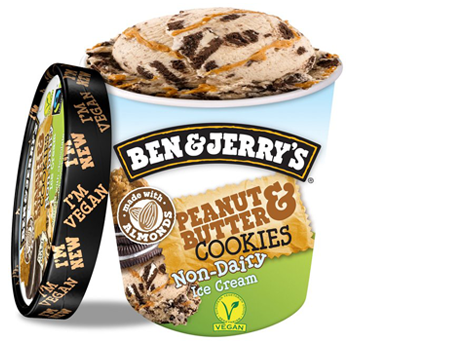 To begin Veganuary 2019 try Ben and Jerry’s peanut and butter cookies non-dairy ice cream. Look on http://www.fairtrade.org.uk for more delicious choices. Come and say Hello when you come to do your ethical Christmas shopping at the Parkinson Building at Leeds University. We’ll be selling delicious dates, olive oil, cous cous and lots more Zaytoun produce. We’ll also have lovely embroidered items handmade in Palestine, just right for Christmas presents. There will be loads of stalls selling clothes, jewellery, food and crafts of all kinds. There will also be a choir and lots of Christmassy things to eat. Put a note in your diary for Tuesday December 4th from 11am – 15.30pm. It’s always a very joyful event. Two of our members are very kindly opening their home to display lots of gifts from the Traidcraft catalogue. It’s your chance to have a browse and start your Christmas shopping. 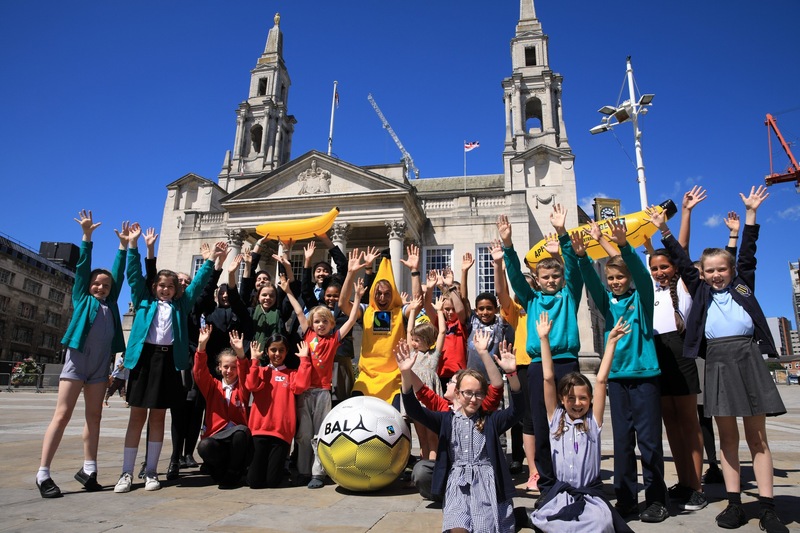 Friday 22nd June saw schools from across Leeds and Wakefield coming together to celebrate Fairtrade at Leeds Civic Hall. 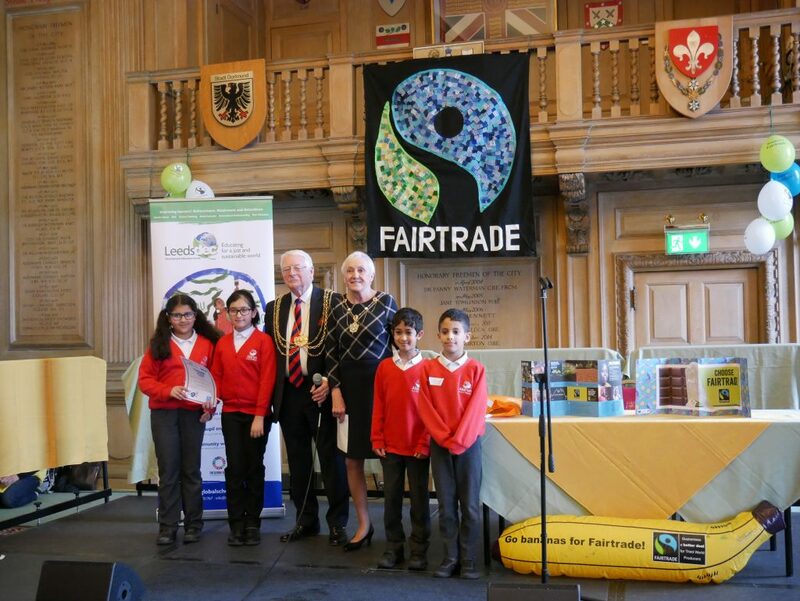 This annual event, run in partnership with Leeds DEC for the 8th year, had pupils leading their own workshops exploring Fairtrade. The Coop sponsored the event and provided real life case studies of how Fairtrade can change the lives of the farmers and their communities. Other special guests included Hilary Benn MP who said it was a “Fantastic event”, the Lord Mayor of Leeds Cllr Graham Latty and Angus Coul from Bala Fairtrade Sports balls. Stalls were run by The Beehive Fairtrade shop , Europe Direct and Leeds DEC. Thanks to all the schools who came and a particular thanks to Abbey Grange Academy, Allerton CE Primary, Woodlands Primary, Ireland Wood Primary and Bala Fair Trade Sports Balls for their informative, engaging and fun workshops. The Courtyard Café , 96 Town Street, Horsforth is warm and welcoming. 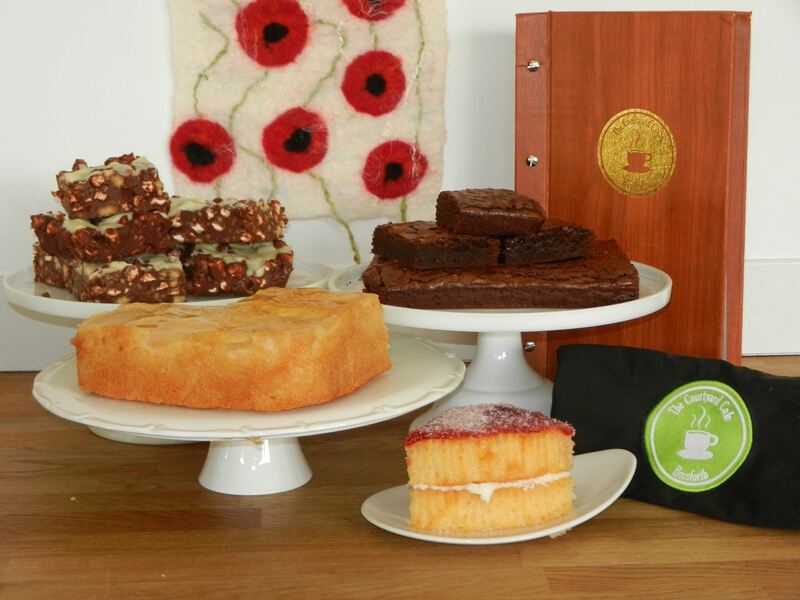 They serve breakfasts, lunches and delicious cakes as well as Fairtrade tea and coffee. It is a community café and everyone is welcome. The Courtyard café is very attractive with lots of local artwork on display. Do make a point of popping in next time you’re in Horsforth. Year 4 pupils at Beechwood Primary School had a go at cocoa farming, as part of Leeds DEC’s Be a cocoa farmer workshop. 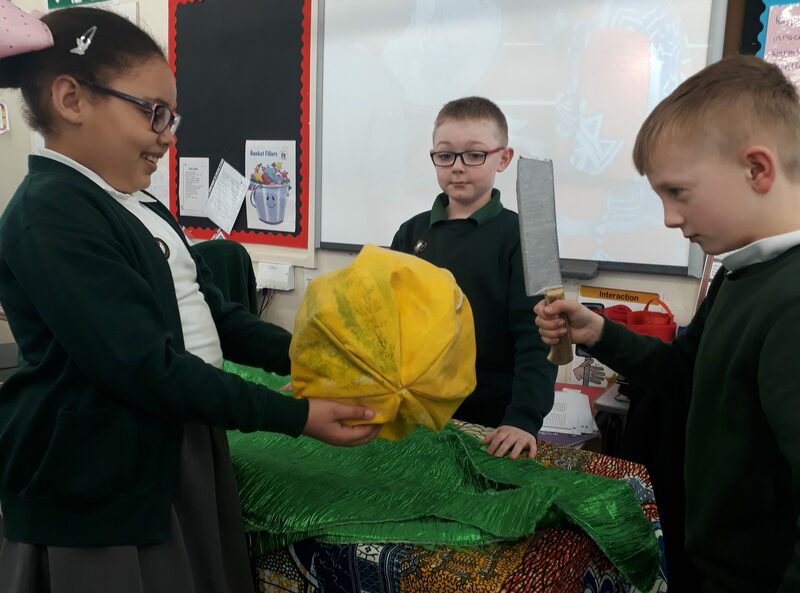 Pupils were engaged in telling the bean to bar story of Divine chocolate through beautiful props and interactive presentation.